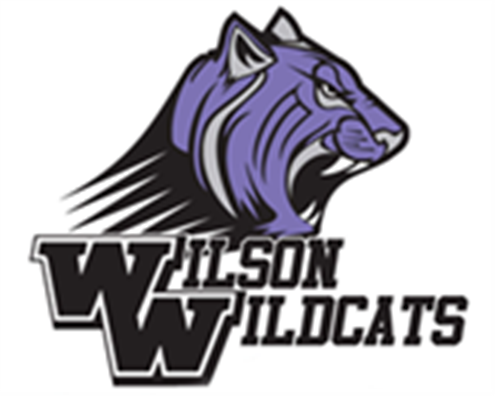 We are so excited you are coming to Wilson and joining the Wildcat Choir! Here at the W we strive for excellence in everything we do and our choirs are no different! We believe choir is for everyone, NOT just those who "can sing". We will teach you how to sing the same way the band directors will teach you how to play the trumpet and the orchestra directors teach you how to play the violin. It is a learned skill that takes practice. You don't have to have a good voice to be in choir. Mr. Quinene and Mrs. Wilemon will help give you the skills to help take your instrument to the next level. Below you will find some information to help you prepare for the 2019-2020 school year. Our classes are all gender and ability based. Every incoming 6th grader will be placed in our Beginner Choirs. Guys will be taught by Mr. Quinene and girls will be taught by Mrs. Wilemon. Having our choirs split based on gender helps us focus on each genders needs. Middle school guys are notorious for their voice changes, and by taking girls out of their choir class we are able to provide them a safe space for their voices to change, crack, break, and all of those other fun things the male changing voice does. That is also why Mr. Quinene is their teacher - since he's male he can empathize and help them navigate this change. The beginner choirs will put on 4 concerts a year. They are typically in the months of October, December, April, and May. Choir is considered a Co-Curricular activity and performance is a part of the TEKS we are required to teach. All concerts are mandatory and we take 2 test grades at each one. One of the grades is for performance etiquette. With this grade we look for posture, stage presence, and focus. The other grade is for audience etiquette. Here we will teach your student how to behave in a formal concert setting and they are monitored to ensure they are using best practices. Our beginners go to a contest every April called "SING!". This is a contest hosted by our very own Northwest ISD and we compete against all of the other beginner choirs in the district. The contest started in 2017 and provides a wonderful opportunity for the beginner choirs to sing in front of highly respected judges and receive feedback from renowned clinicians. We are VERY proud to say the past two years the Wilson Beginner Girls Choir has earned "Best in Festival" which means they were the top choir of everyone who competed. This is the highest honor that can be achieved and our students are working hard to achieve it again at this years contest. Every April we also have a Solo contest. This is held at one of our high schools and students will have the opportunity to sing a solo they prepare for a judge. This is a wonderful contest that the students look forward to every year. Our philosophy is to help our choirs recognize their growth and to be proud of the strides they have made. Trophies, while cool, are not our goal. Growth and continuous improvement are what we are always working towards and making sure we are as prepared as possible to give the best performance we can. This is what we are about here in the choir room. Once the contest is over we will take the students out to a fun event where they can eat and have some time to enjoy their hard work with their peers. In the past we have gone to Altitude, but this year we will visit IT'Z pizza in Euless for our celebratory lunch. Wilson Fine Arts (band, choir, orchestra, theatre) rent out Hawaiian Falls in Roanoke for a fun night. This trip is in May and it always a wonderful celebration of the end of a successful school year. The initial choir fee is $15. This will pay for your students choir t-shirt (part of their uniform for concerts) and their choir binder, pencil pouch, and pencils (we provide them 2). Trips are extra cost and that will be determined by how well we do with our fundraiser in November. The more money we raise for the program - the less expensive our trips can be! Money, however, should NEVER be a reason a student does not participate. Scholarships are available for voice lessons (up to 50%) and we can also set up payment plans for fees and contests. Please do not be afraid to communicate to us if financial assistance is needed. I know this is a lot of information and if you have any more questions about what to expect when you come into the choir room you can always email Mrs. Wilemon at lwilemon@nisdtx.org. Can't wait to meet everyone and to have a wonderful 2019-2020 school year!